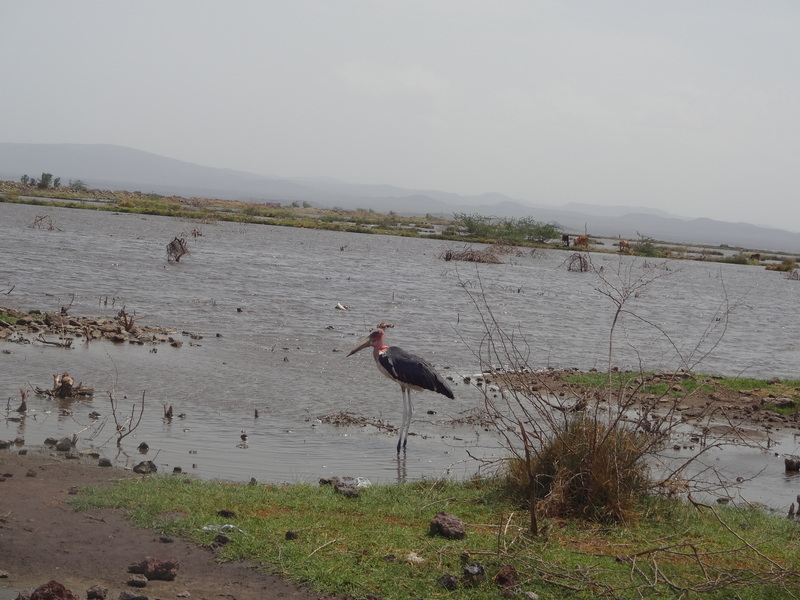 Our summer research projects with Addis Ababa University took us to the Rift Valley in the Afar region of Ethiopia. 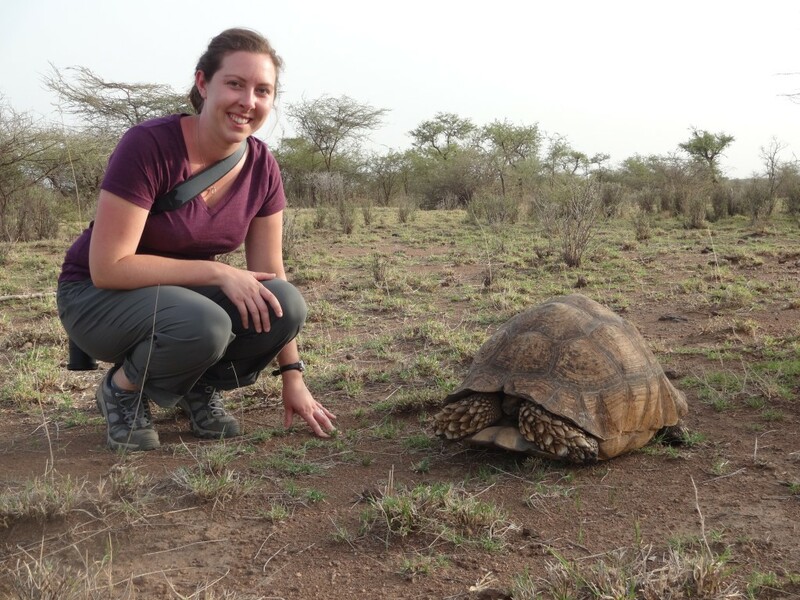 Kelsey Gerbig with a giant tortoise at the Awash National Park. 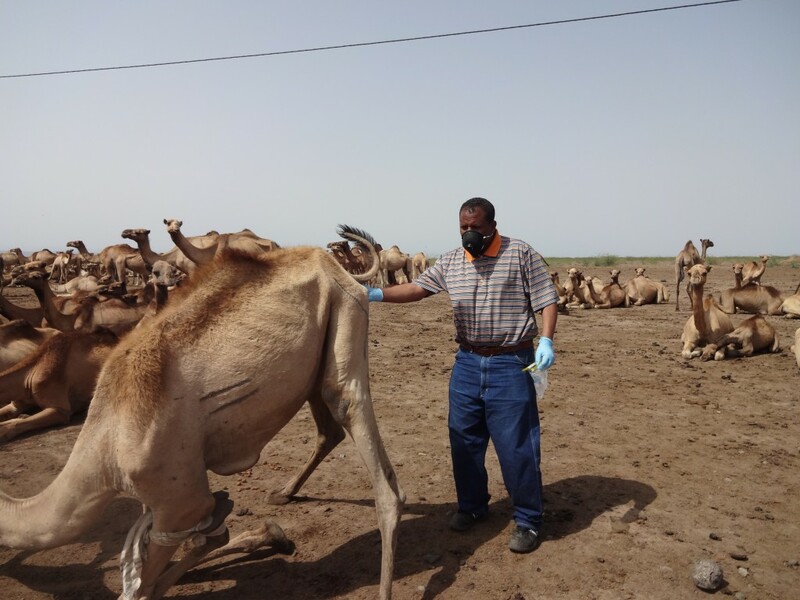 My focus is on Trypanosoma evansi and diagnostic techniques for practical and efficient identification of this blood parasite in camels. 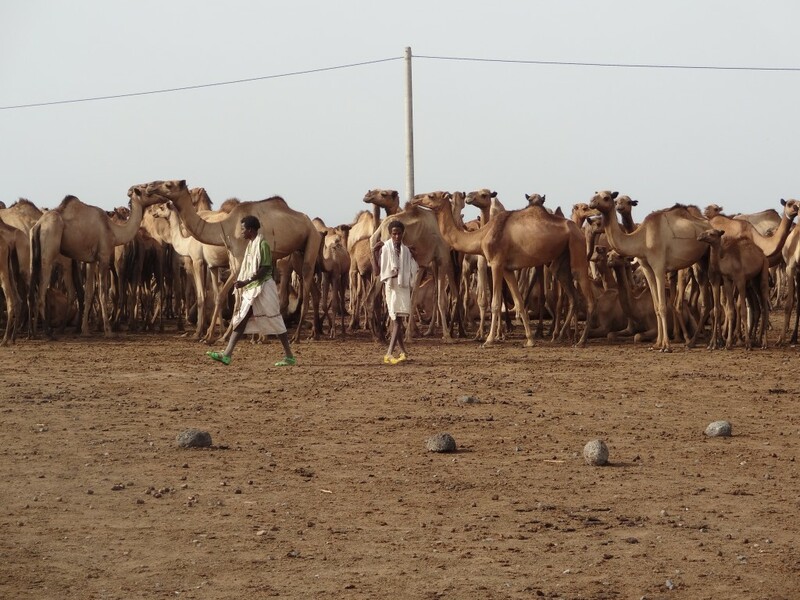 Used for meat, milk and transportation, camels play an important role in the lives of the pastoralists in the Awash Rift Valley, and results from this project will provide an idea of the prevalence of this disease in camels in the Afar region. We left our hotel room early on Thursday to travel east to where the pastoralist tribe was currently living. 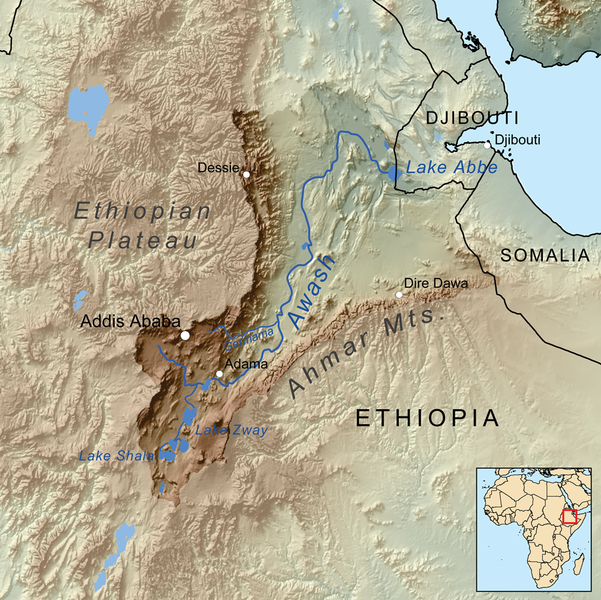 The pastoralists are a nomadic people, who move with their animals to find grazing land and water throughout the year. On our way, we admired the gorgeous views. 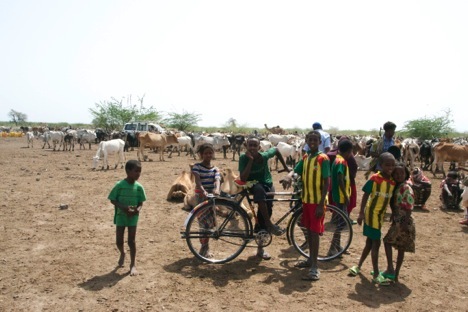 The tribe that agreed to let us sample from their herd owned cattle, goats, and camels. We were quite taken aback at the size of their camel herd – close to 200! We geared up to collect samples. Disposable gloves, shoe covers, and N95 respirators were donned. 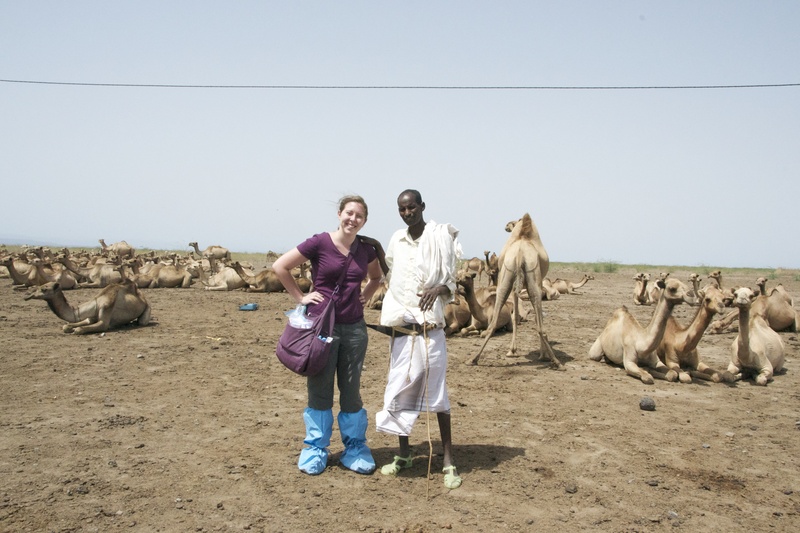 Even though we had limited contact with the camels, we wanted to take as many precautions as possible to avoid contracting zoonotic diseases. Currently, it is fasting season for many in Ethiopia, and our helpers from the pastoralist tribe grew tired as the morning went on. 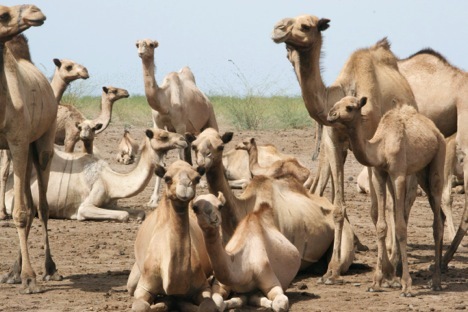 In the end, we were able to collect blood, feces, and respiratory secretions from 51 camels. At the end of our work, I couldn’t resist taking out my digital camera to document our experiences that morning. As soon as I began snapping pictures, the kids started posing so that they could see themselves on the digital screen. Even some of the men joined in, posing with their weapons and camels! We would like to say thank you to Dr. Nigatu Kebede and his laboratory technician, Nega Nigussie, for arranging our sampling trip and assisting with sample collection. Our summer research projects would not be possible without their help!